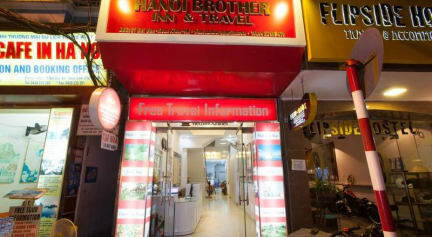 Hanoi Brother Inn is perfectly located in the very heart of Hanoi's Old Quarter (21 Bat Dan, Hoan Kiem, Hanoi), offering you one of the most convenient places to stay in Hanoi. With less than a 7 minute walk to the Night Market, and around a 10 minute walk to Hoan Kiem Lake or Dong Xuan Central Market, you can have easy access to restaurants, nightlife and historical sites in a blink. Built of young, friendly and easy-going people with experience in hospitality. We always listen and try to answer all of your questions. We have exceptional staff that have drawn much praise and repeat business. Please come and find out for yourself why we are the first choice in Hanoi Old Quarter. 2).Our check in time is after 2pm and check out time is before 12 noon. 3).We accept credit card and cash payment upon arrival. 4).Guest is advised to contact with hotel before arriving and supply expected arrival time. Airport pick up service is available. Recently, there are many SCAM PEOPLE pretend our staff. They usually stand in airport or outside of hotel. They will create a reason to cheat and take you to another hotel with bad service to get commission. - Do not listen to anyone who has no placard under your name. Only follow driver who has your name. This Hostel was brilliant! All the staff are very friendly and so helpful, especially Kevin, harry and Garry! Got us great deals on trips and the cruise! Breakfast is excellent and free! The rooms are clean and spacious. The best hostel I've stayed in! Thanks Hanoi brothers! Love Angela & Samantha from England. Stayed 2 nights. Staff were amazing. Breakfast was fantastic. Beds were comfortable. Location was perfect. Facility’s and cleanliness were Awesome. Great value, would highly recommend! We enjoyed our stay here and would’ve extended but they were booked! Room was big and clean, shower not brilliant but everything else was good! Not sure if they were the cheapest travel agents but definitely the nicest and most helpful. Would recommend! Other than a couple roaches in the bathroom (never more than one at a time), this hostel was great. Staff were super helpful and kind. Laundry was quick and cheap, breakfast was nice. I'd recommend to anyone! The staff were extremely accommodating and had everything ready for us. We even booked or Sapa and HaLong bay tours fairly easily via email as we were on a very time restricted itinerary. They arranged our tours so that we could get them all done in the short time we had in northern Vietnam. We decided to book an extra night prior to our flight and they upgraded us for a discount. 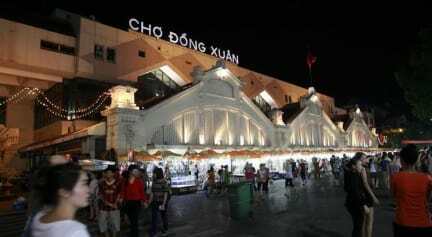 Location is all within walking distance of the major sites within Hanoi. Place is great.. nice place, chill atmosphere, Phillip is the go to guy.. talk to him, couldn’t meet a better guy. Will stay here whenever in Hanoi. Comfortable room, good breakfast and staff very friendly and helpful.